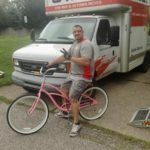 Tri-State Moving Service is the best full-service moving company in Erie, PA with a team of dedicated, professional movers and packers for the entire tri-state area. 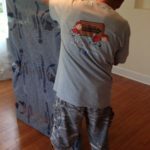 No other movers in Erie, PA will give you the help and attention to detail for moving labor services like we do. 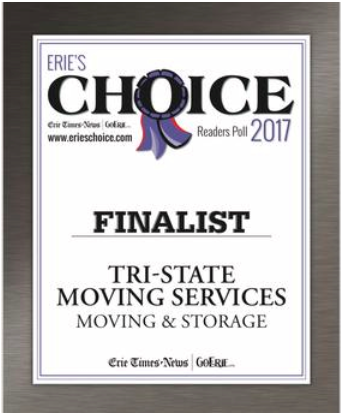 Tri-State Moving Services in Erie, PA, offers a wide variety of local moves; including apartments, single-family homes, retirement communities, dorms, condos, and more. 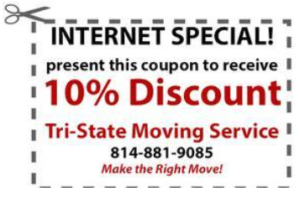 Tri-State Moving Services’ movers are trained to protect your belongings and your home. All pieces of furniture are padded and stretch wrapped, ensuring your items and home are damage-free at the end of your move. Having added stress about packing up your home prior to moving? We’ve got you covered with our full-service packing and unpacking services, too. Tri-State Moving Services provide commercial moving services and offer a wide range of solutions to our corporate customers for their specific needs. Our professional move team can relocate offices across the tri-state area and also domestically. We cater to the needs of your business, ensuring that your office move doesn’t result in any additional issues or challenges. At Tri-State Moving Services, our professionals provide quality service to businesses of all sizes, from small, privately-owned businesses to larger Fortune 500 companies. 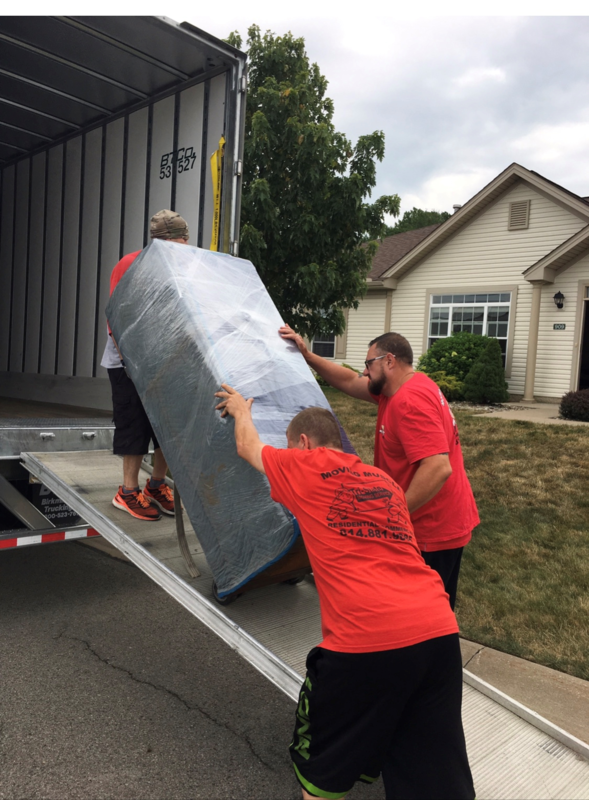 With thousands of pick-ups and drop-offs a day, Tri-State Moving Services located in Erie, PA knows a thing or two about moving across the tri-state area or just across the street. Whether you have a Birkmire box, PODS, ABF Containers, or Go Minis, often times they only provide moving services for an additional price. Most people have never driven large trucks and it is even more nerve-racking when it is filled with your belongings. So why not leave the hassle of driving to the professionals? Tri-State Moving Services provide low-cost moving services with packing and unpacking services, no matter the brand, whenever you’re ready to move. At Tri-State Moving Service, our movers provide a variety of moving labor services including packing, loading, unloading, rearranging furniture and can also help move large or fragile items like antiques, pianos, gun safes, hot tubs, large furniture and more. We offer many discounts for our moving labor services including seniors, students, and military. On top of that, we collaborate with the good folks at Birkmire Trucking, ABF Freight, and Go Minis. We work one-on-one with these companies to save you lots of money. 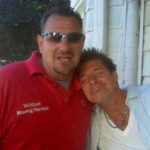 As the best moving company in Erie, PA with over 30 years of moving experience, you can count on our movers and packers to successfully move you into your new home or office. Give us a call today and ask about our moving discounts or contact us to learn more about the moving labor services we offer!